And then had to go change my underclothes. Yup, I’ve hit that age. I’ve been to the optometrist three times so far trying to work out my contact prescription. The problem was, right before Vegas I realized I was out of contacts – well, I’m not traveling half way across the country without a back up pair, so I popped on over and he gave me a pair to wear to test the prescription and a back up pair. As soon as I put them in, it felt wrong. He said to just give my eyes some time to adjust. It’s been a week and it still wasn’t right, so I scheduled an appoint to go back in. Well, my right eye is blurry, but we can’t bump it up anymore because I’m seeing 20/20 at a distance. We can lower the script in my left eye to help balance things out. Okay, so I’m currently wearing that script. But, do you know what this all means? 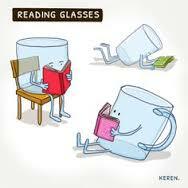 It means that pretty much as soon as I turn 40, I will need reading glasses. Yup. I’ve hit that age. I’m at the age that I have started singing alone with the elevator music. Conversations with my friends have turned into a competition of who has the worst ailment. I seriously don’t recognize half of the people on TV now-a-days. Kelly Ripa has been on vacation, I haven’t recognized half of the women brought in to guest host with Michael Strahan. Driving down the road the other day I thought “He’s a cutie”. And then gagged when I realized he might not even be old enough to drink yet. All young people are starting to look the same age to me. In just over a week I will have officially hit another milestone birthday. I’m not worried, but I’m pretty sure I’m not prepared, either! Did I mention the reading glasses? 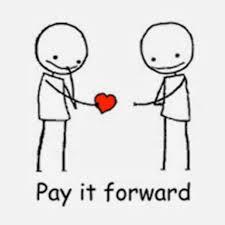 I completed 40 Random Acts of Kindness before my 40th Birthday!! So, we sat down together and started going through the list, and darned if he wasn’t correct! We both have completed more than 40 random acts of kindness – that’s a total of more than 80 RAKs!! On another note, we both mentioned how hard it was to help someone with car trouble! I can’t tell you how many times we’ve stopped and asked only to be told that they were okay/had someone on the way/didn’t need anything. So, we didn’t cross that one off, but not for lack of trying! Smile at the Walmart greeter Always! Walk or run for charity Done! American Heart Walk in honor of my brother, Lee. Let someone go in front of you in line Done! Say “thank you” to the cashier Easy! Praise a parent for their child. I’d like to think that I’ve compliments several of you reading this on your kids! Return a shopping cart for someone and save them the trip We’ve done this several times already – and it’s always been appreciated! I was really pleased to challenge myself and to work with Mr. T and show him that you don’t need a lot of money to change the world and that small acts can become habits! I think that the biggest lesson we learned was that we may not be able to make a huge change, but we can make lots of small changes that have a huge ripple in the world. 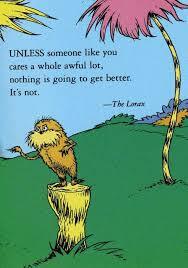 We can do that – we can all be a ripple. 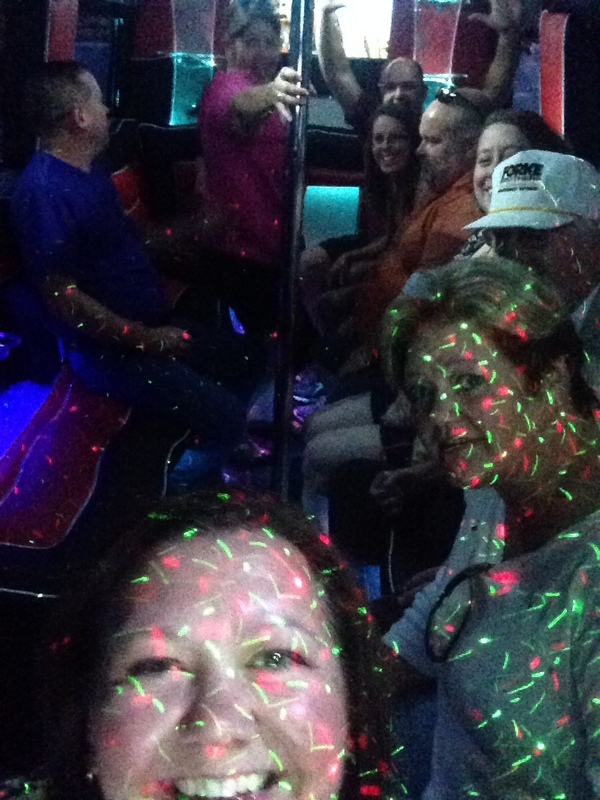 I survived my 40th birthday party, and despite what the commercials tell you – what happens in Vegas does not always stay in Vegas, especially since I have a blog! And, I’m going to fit all of the adventures into one post – so it will be long – try to hang in there! 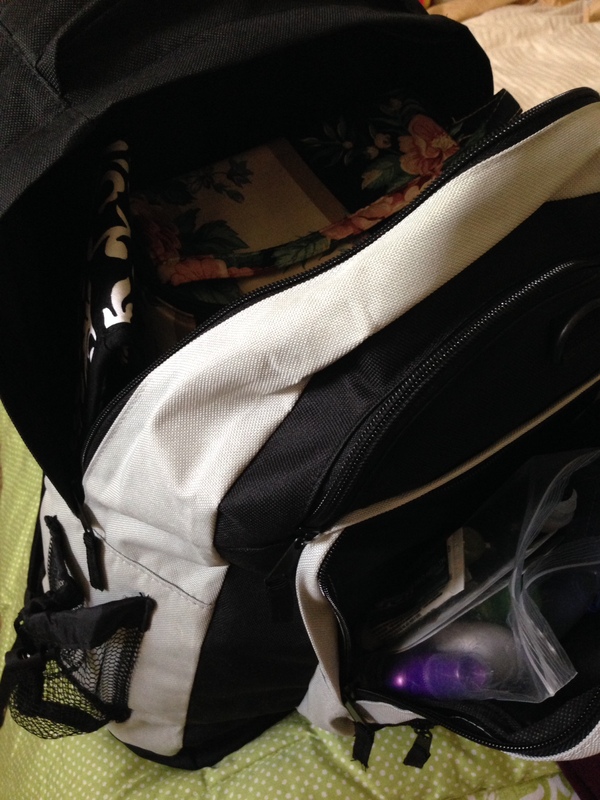 First off – my practice packing came in handy! 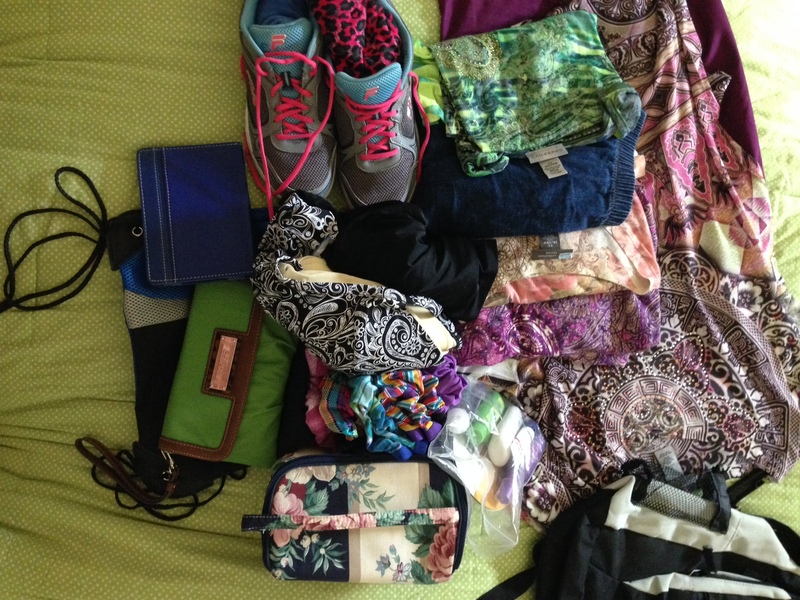 I managed to pack for the entire trip and still had plenty of room left over! Thanks to all of you who provided packing tips and tricks – I’m really happy to now be the kind of person that can pack a bag and go! We had a total of 10 people, most of which had never been to Vegas, so the goal was to make sure they had a trip full of memories while we celebrated my birthday! I had a list of “If we do this, then these items are all around it”. 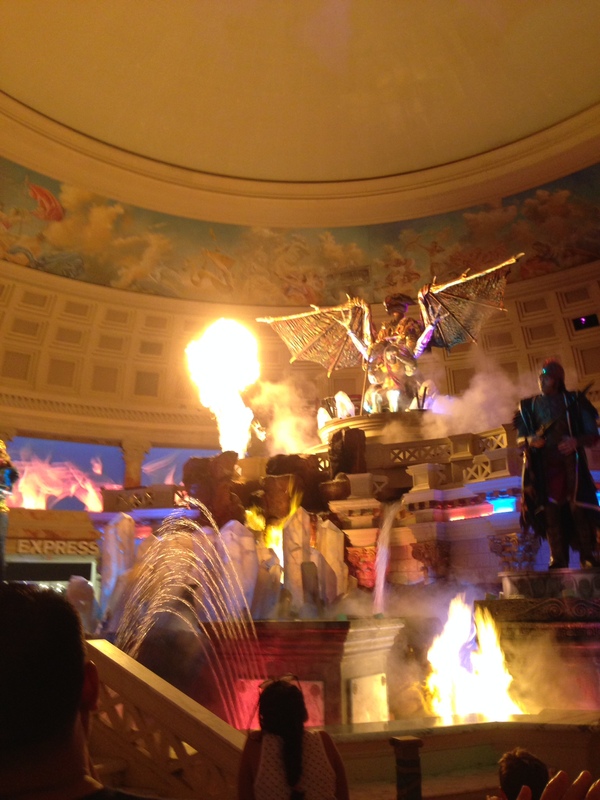 So, if we go to Caesar’s to see the Fall of Atlantis, we should walk over to the Bellagio to see the fountains. Several items all grouped together to consolidate travel time! I knew that Karen really wanted to ride the coaster at New York New York, and there was a new Hershey World open for those that didn’t want to ride or spend the time gambling. The goal was to eliminate any “What should we do?” questions and have plenty of options to throw out when the question did arise! I was prepared! Which, if you’ve read this blog for any amount of time, you’re probably not surprised by that fact! The flight was uneventful – which is always a good thing! We landed and checked our bags with the bell man since it was too early to check into the hotel and then we headed across the street for a lunch buffet. 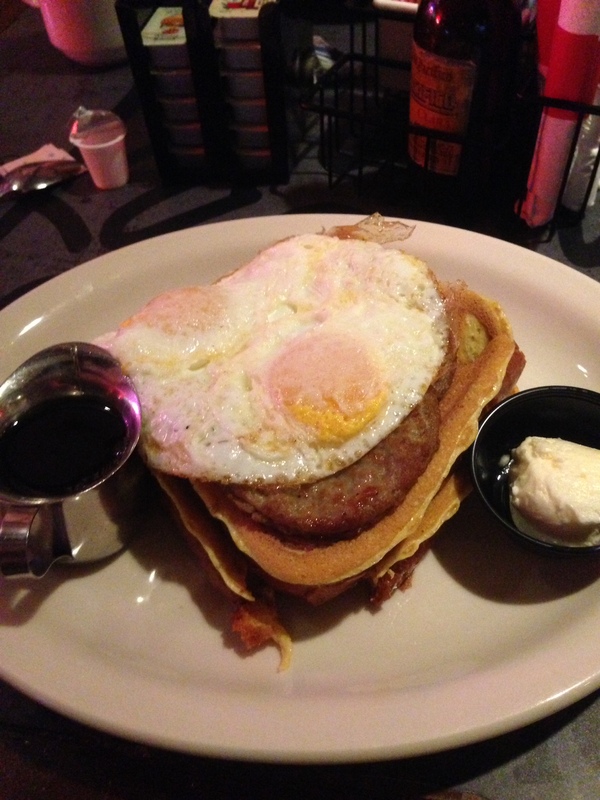 You have to be able to say that you had the buffet at Circus Circus – that’s just a must for any Vegas or Reno trip! 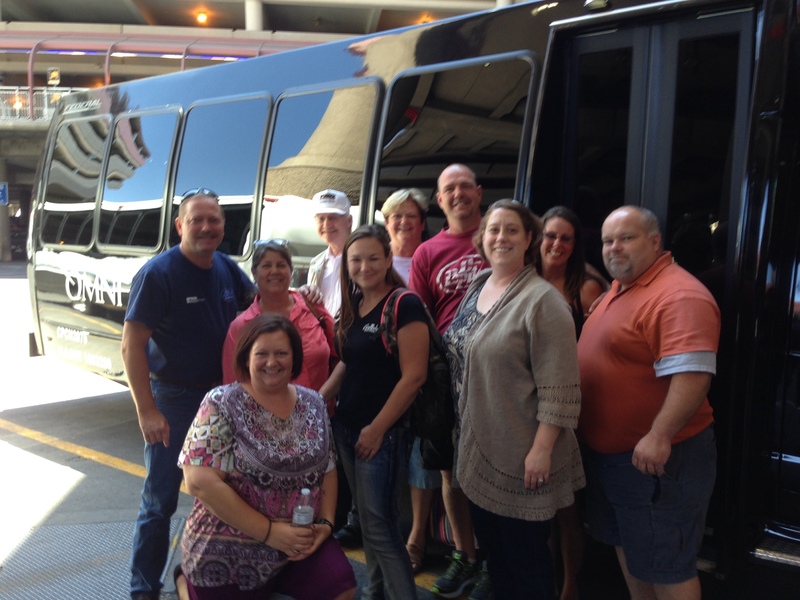 Best birthday present – free shuttle to and from the airport! After checking into the hotel, we went to the Strip to catch the free show at Caesar’s, then we grabbed a bite to eat and walked over to The Bellagio. We checked out The Conservatory, which was a beautiful display consisting of over 83,000 fresh flowers! It was amazing! I tried to get another group picture while there – and boy, did I get a couple of sour looks! So, fine – don’t join in the group picture! That was the last time I asked for one! Party Bus the bellman found to haul all 10 of us to The Strip! 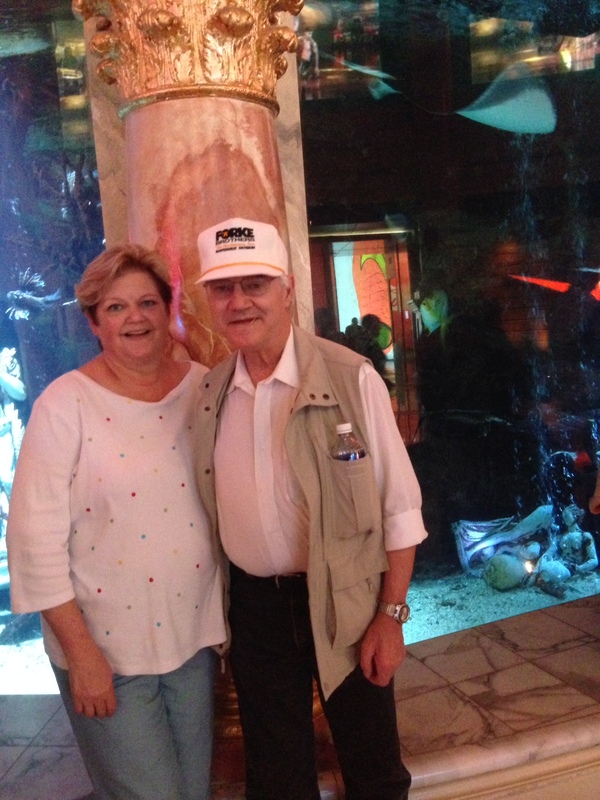 Mom and Dad in front of the aquarium at Caesar’s. 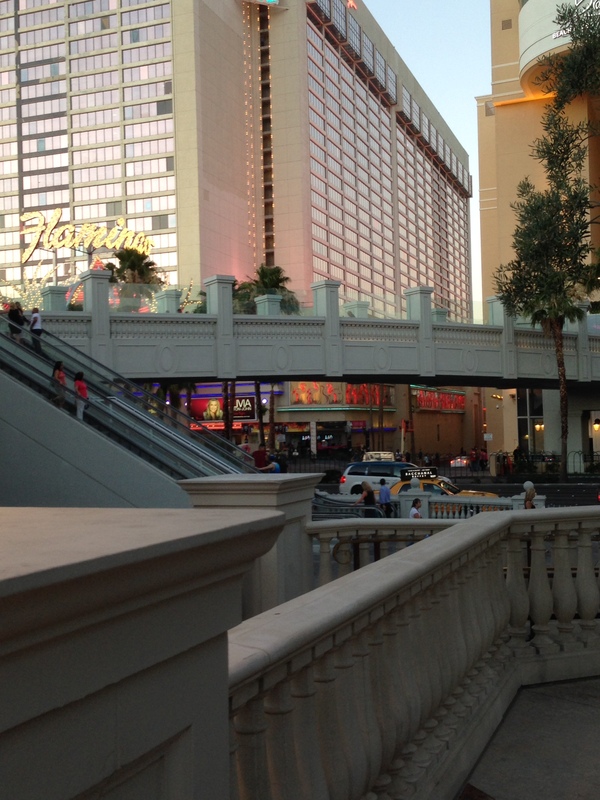 This is how you cross the street in Vegas… overhead walk-ways! Once it was dark, we headed out to catch the famous fountain show! Two of the group decided to head over to Paris and go up to the observation deck to watch from above, since no one else was invited, I figured it had to be a little romantic get-away! 🙂 Nothing says romance like Paris! The next morning I was up and invited everyone to meet for breakfast, and half the group took me up on it. It was so yummy! We took advantage of some of the coupons the hotel gave and ate at the pub – nothing is better than eating at local places! Really? A restaurant that you can eat at all of the time, and has locations in every city and they all create food from the same menu tasted just like at home? Do tell! I giggled over that the rest of the trip! Even though half the group decided to eat breakfast separate from us, I did a group text and invited them to the next thing we were thinking about doing – and they said “No thanks, we are headed to a casino”. That was the casino that I had mentioned that we should hit first, as there were several activities that we all could participate in, but um, okay – you guys just go ahead. The rest of us were still talking and I sent another text asking if the others wanted to get together later, catch a show or something. Okaaaaaay. I’ll stop asking if you want to do things together – and per your request, I’ll just wait until you are ready to catch up with me. It’s not like it’s my birthday party or anything! Yes, my feelings were hurt a bit, but it was also embarrassing! Hard to explain to mom and dad that half the group went off and didn’t invite anyone else! Then, I felt horrible when my parents thought it was their fault! They thought the others didn’t want to hang because of them! I reminded my parents that the parents of the others are with us frequently, so that can’t be the reason, and if that was the reason, then I didn’t want to play with them, either! A day and a half later I was told it was a misunderstanding and they didn’t mean to not invite the rest of us, they just thought I would want to keep to my schedule. 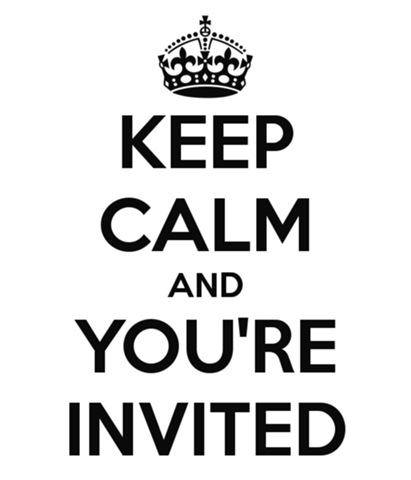 I could see that reason if they had invited others and not just me, but I wasn’t the only one they didn’t invite. And, they stuck to my schedule, I didn’t! My whole trip was very much go-with-the-flow and do-what-feels-good! On the other hand, everything I thought would be perfect do to on Day 2 – they did! And pretty much in the order I suggested it! Fortunately, it didn’t mar the mood – our group had so much fun the rest of the day! Mom, dad, Kevin, Sandi and I went downtown and had so much fun exploring! And, Sandi and I crossed Zip Line off my bucket list! 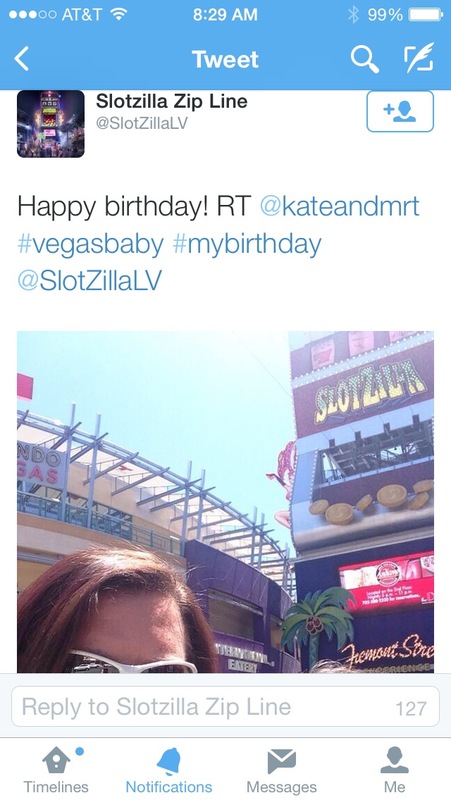 Slotzilla even wished me a Happy Birthday! Then we played around in the Fremont district, and thanks to Nancy at My Year(s) of Sweat, we had the best lunch ever! Half the fun of going out-of-town is to eat local and she suggested a restaurant that was one of the best we all had ever eaten at! Afterwards we walked through Container Park, which was a park made out of old shipping containers! It was amazing!! And yes, I played in the big tree house! I don’t know if I ever had a better day! 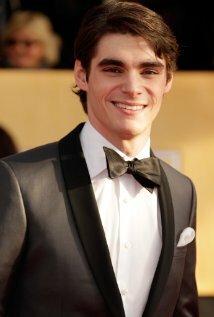 We went back to our hotel in the afternoon to rest and then play in the pool – and guys – I walked right past RJ Mitte!! I really wanted to stop and see if he’d take a picture of me, but I also wanted to give him his privacy. In the end, giving him his privacy won out – but if I had seen him again, all privacy was going out the window! Mom and dad took me to a nice dinner to celebrate my birthday, and then Dad, Kevin, Sandi and I went back down to Fremont to catch the light show… which was disappointing and exciting at the same time! I was expecting more of a lights and laser show – but it was actually a broadcast of a Bon Jovi concert! The next morning after a late breakfast, we were playing in the hotel and ran into some of the others that had declined to join us the day before, and well, they were just too tired and sore and worn out to do anything. So, the same half of us loaded up and headed out! We hit the M&M store, Coke store, Hershey World, and probably half a dozen casinos to just wander around and check out. It was pretty fun! And, yes, we played even more in the casinos! And, the beautiful fireplace shown… that was in a bathroom. A bathroom! I love the opulence of Vegas! Sigh, then it was time to head back. While we were waiting for my free shuttle birthday gift to show up, tons of people were headed to EDC, a techno rave that the Las Vegas Motor Speedway hosts every year. Apparently it had a unique dress code… And while I was trying to discretely take some pictures, the four almost naked girls caught me – and agreed to pose! Then we loaded up and headed back to the airport. I fell asleep briefly on the plane, just long enough to snore for everyone! It felt good to get home and sleep in my own bed, but, it felt even better to make some great memories! I am so very fortunate to have wonderful friends and parents that make my life so rich and full! And, a great sister that house and pet sit for me and my parents! That took a lot of stress off knowing that she was there watching over things! I heard from Travis before we got on the plane. He had spent the week at Mascot camp, and he did make it home safely. A dozen different schools were at the college for camp, and he was the only boy! 🙂 He did win the “Most Spirited” award – one of the few individual awards presented at camp! That was greatness, and he said that he had a really good time, so that makes me one happy mom! If you made it this far – thank you for sticking by me! 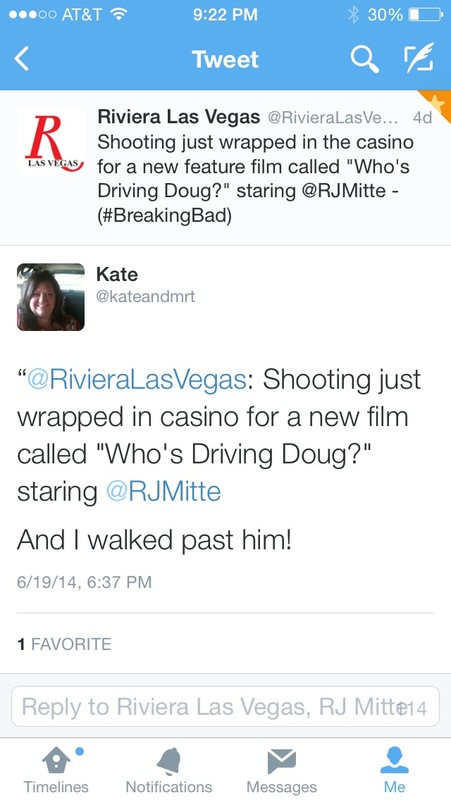 And I hope you enjoyed my recap of Vegas Baby! So, I did a search, I was wondering how many people actually did Fairy Gardens. Apparently a lot of people! You can even get a Fairy Garden Camper. 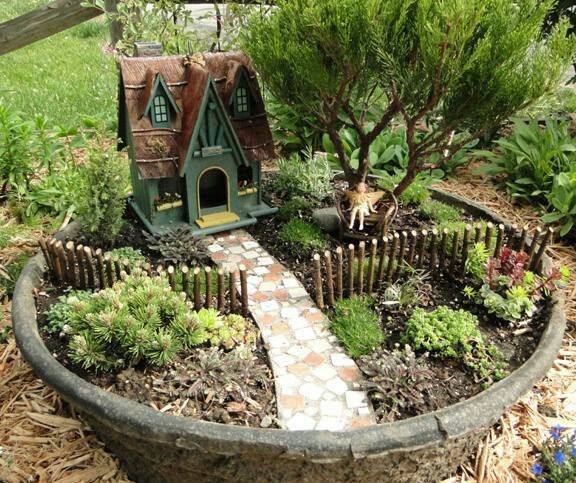 Or a Pirate Fairy Garden House! HAS EVERYONE LOST THEIR MINDS? 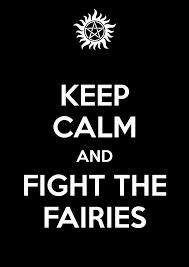 Fairy’s are not nice creatures! Fairy’s are known for mischief, and malice and the stories about “wee people” are always ones of how to survive an encounter! What ever you do, don’t eat the food!! If you eat food offered by a fairy, then they will enslave you and you can never return to your life. Fortunately, you can defeat a fairy if you are close to being ensnared. If you spill salt, a fairy must stop and count each granule, thus giving you time to escape. 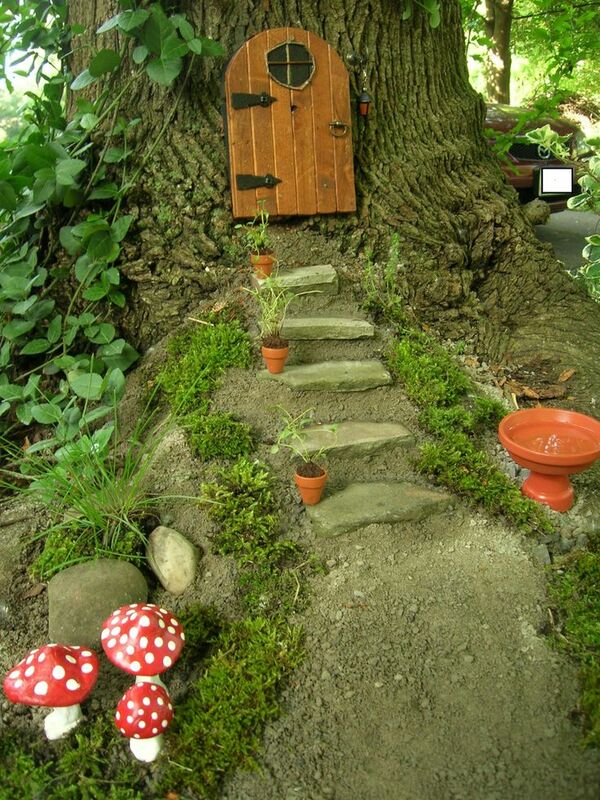 I’m not sure what type of people are inviting fairies to move into their yard, but I can tell you – it’s not me! I did a practice packing session the other day. I’m going to Vegas in 2 weeks to celebrate my 40th birthday. This has been planned and we’ve been saving for 2 years and our goal was to find the least expensive transportation so that we had more fun money. I think we met that goal – the air line has a very reasonable price tag – and you only pay for the bags you bring. Okay, so to avoid a bag fee, I have to not pack a bag. Now, a “carry-on” is a bag and would be subject to the fee. But, a purse, a briefcase or a backpack, well, that’s personal and not considered a bag. 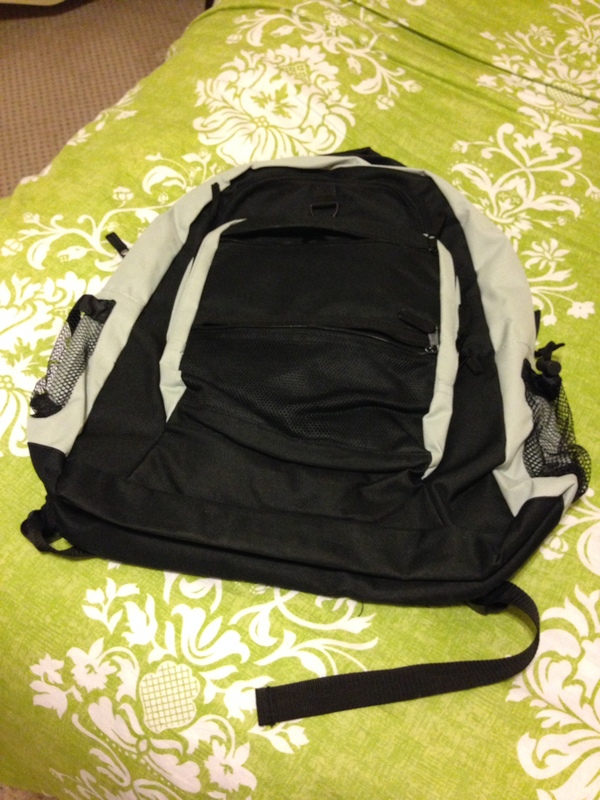 So, I bought a back pack! 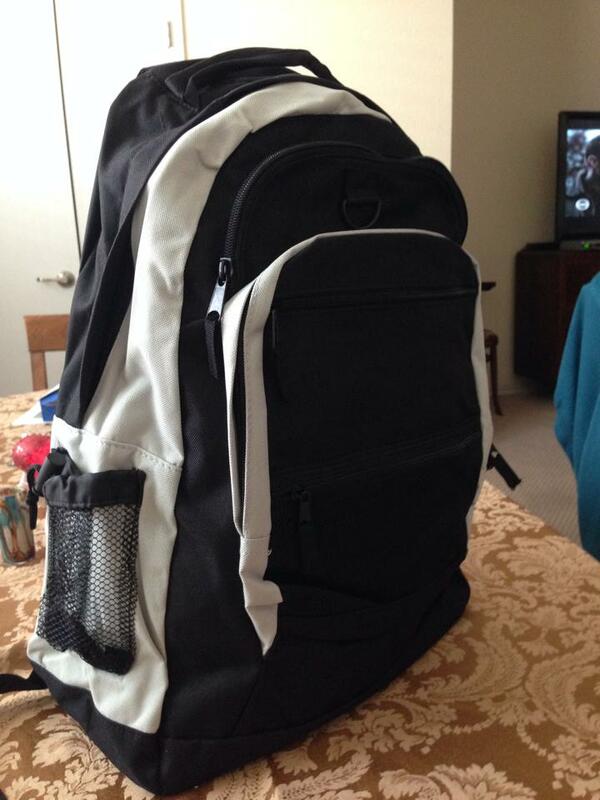 Thank you Amazon for my Vegas Backpack! We are going for 3 days and 2 nights. And we aren’t doing anything fancy, so this should be easy, right? Well, first off, my clothes are big girl clothes, so they take up more room. And, I’m an over-packer. There I’ve admitted it. I always, always over pack. But, since it has saved me on more than one occasion, I have never curbed that tendency. I have to curb it now. I have to fit 3 days into that bag. You know I went camping the other day – a 3 day and 2 night trip. That was a perfect time to practice packing for Vegas. Now, the wardrobe isn’t the same, but close. And I could take a travel bag full of toiletries which I can’t take on a plane, but I didn’t take my straightener, so I think it was a good trade off in terms of practice! Let me repeat – ALL OF THIS!! Into that little backpack!!! 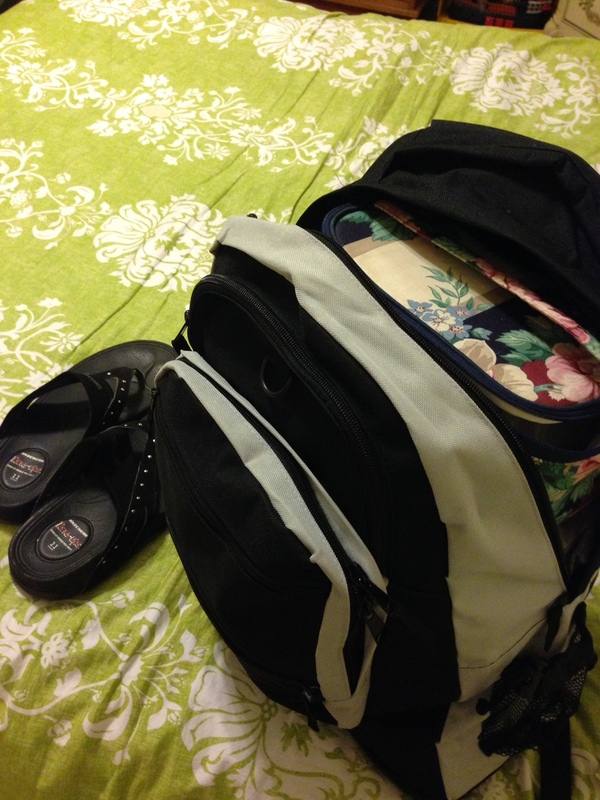 I have (2) shoes, underwear, socks, (1) pj’s, (2) shorts, (4) shirts, swimsuit and cover and my toiletry bag. 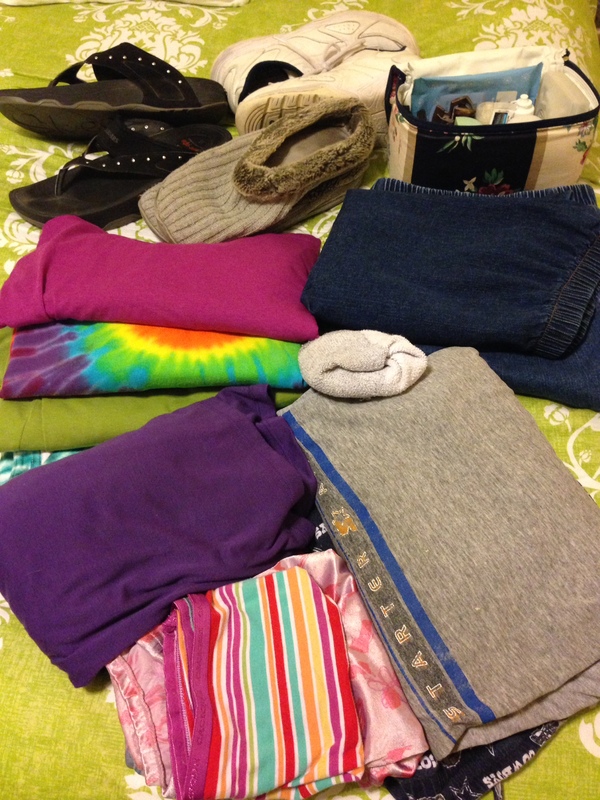 Now, this doesn’t include the items that live in my camping trunk, but I really think it is a close representation of a three day trip for me. For Vegas I’ll have less toiletries, but will have makeup and hair care, but again, seems like a fair trade off. So, I think I’m ready, I think I can do this! 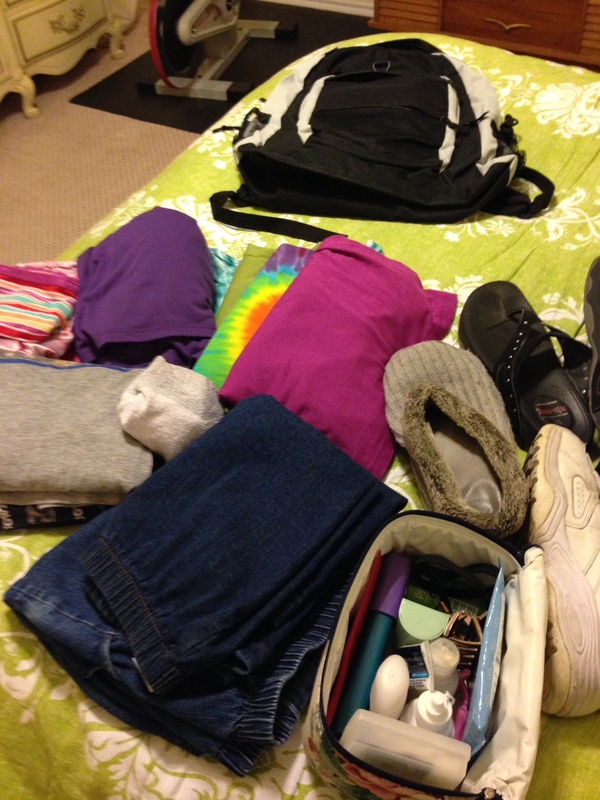 Of course, I’m going to totally practice pack one more time with my actual wardrobe, but that’s neither here nor there! And I really hope that someone tells me they’ve done this too! Don’t let me be the only weirdo! **P.P.S. I made it back from Vegas! 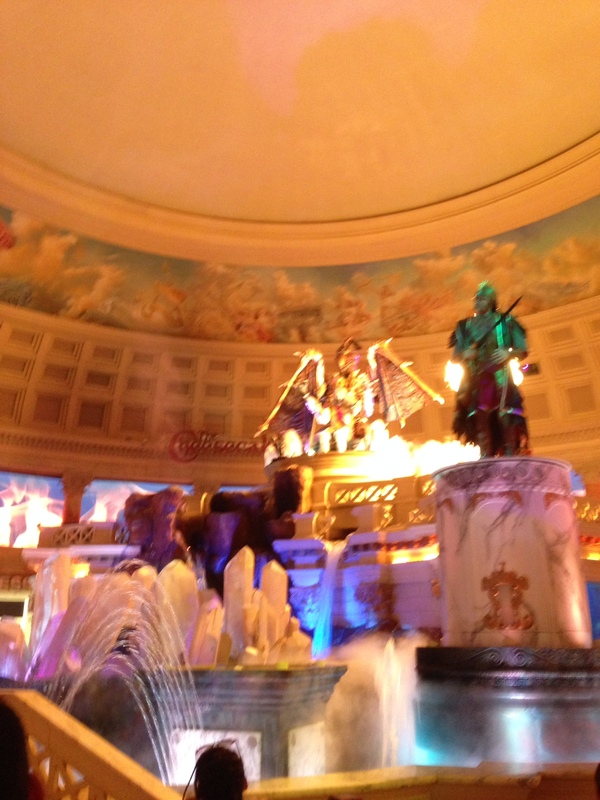 You can read all about the adventures here: Vegas Baby! Before I declare my June challenges, let’s recap how May went! 1. Increase my daily exercise from 30 min to 60 min. This will be a combination each and every day. This did happen, except for the one week I took off. 2. Yoga 2 – 3 times a week. This did not happen. I have issues with Yoga, Yoga is not my friend. 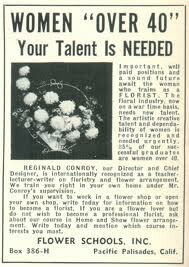 Researched, but not scheduled. I have to make time to fit this in, and unfortunately, their volunteer hours and the hours I had free didn’t match up. Now, thanks to Nancy at My Years of Sweat (who by the way just completed a day hike that she was clearly told could kill her if she did it in a day – but survived) here are my June goals. Do a plank challenge. And I’m calling out Me, Who Am I? to join me because she said she would! Continue to incorporate 60 minutes of activity/exercise into my daily life. Now, here is where I planned to actually do the community volunteer time that I have researched, but I’ve got to be honest, I don’t know if I can fit it in – so this is tentative! June is a really busy month for us. This is Mr. T’s last week of school. Next week he is gone for a week at church camp. He is back for a few days before he leaves for Cheer (Mascot) camp and I leave for Vegas, Baby! About 10 of us are going to Vegas to celebrate my 4oth birthday! Whooo Hooo! (I’ll update you on that later). We are both home for a week and then I leave for a 4 day business trip, only to return and immediately prepare for our annual family reunion the first weekend in July. My intentions are good; however, I will not overload myself with challenges and put additional stress on myself just because I’m uber-competitive! I want to be able to enjoy my life, too! 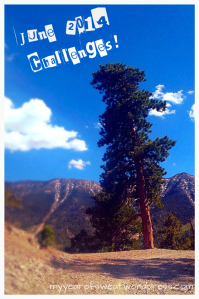 My Years of Sweat – who hasn’t posted her challenges yet, but she’s been busy taking the hike of death, so I’ll update this once she does!